The minimalist method is the most basic way to podcast (I call it minimalist because the equipment you need is minimal – I know, genius:)). A USB microphone is a microphone that interfaces with your computer through the USB port (the same place you plug in your printer or mouse). I’ve always been a big fan of USB microphones, simply because they are so-easy- to- use. All you do is take the lead and plug it into your computer – no technical headaches. Contrary to popular belief, I’m not a technical boffin and have spent many an hour pulling my hair out, as well as multiple leads from many incorrect ports and sockets. So if you’re like me, and hate a snake pit of leads then you’d love a USB microphone. There are no technical hurdles. But just like an XLR microphone, most USB microphones aren’t self powering. In other words they rely on another source for their power, in this case your computer. So make sure it’s plugged in, otherwise it’s just a very effective paperweight. You can go for the basic microphone and headphone USB headsets that start around $20, but I recommend the standalone microphones if you are serious about getting the best audio quality on a budget. In fact I’d recommend you get something like the Blue Yeti that comes in at around $100. When you’re shopping around for a USB microphone, consider one that has multiple recording patterns. A recording pattern is the way the microphone picks up sound. Most microphones have a cardioid pattern only. This means that pick-up is to the front of the microphone, less to the sides and not much from the back. However with multiple pattern microphones you can set them to a “room recording” mode. This means the microphone will pick up all the noise in the room. Great if you are recording round table discussions! 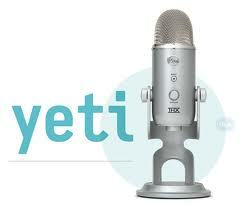 The Blue Yeti has this ability which gives you excellent flexibility down the track. In part 1, I talked about recording audio using a digital recorder, but today I want to talk about using your computer record your audio. The difference in price range here is down to features and interface. Obviously the pricey ones have more “bells and whistles”, but if you just need software to record your voice then go for the free option. Podcasters the world over use Audacity. As far as the interface goes I think it’s been beaten by the ugly stick several times over, but it’s fairly easy to use. As I did at the end ofpart 1, I’ll now summarize the pros and cons of the minimalist method so you can make an informed choice about what equipment set-up right for you. You don’t need to purchase any separate recording device or software. 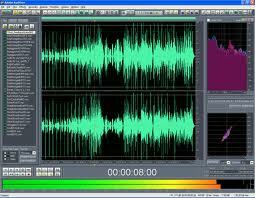 Similar audio quality to mixer method can be achieved with the right microphone. You are restricted when it comes to adding additional input channels. To play things like openers and music beds “live” (this means your intro / outro music will be added in after recording using your software). Can feel like a temporary set-up. Still potential for a small amount of noise in recording. To be honest, the minimalist method is what I recommend to a lot of newbie podcasters. Simply because their eyes glaze over when I mention mixers and XLR microphones. I would rather folks get podcasting and feel confident with the basics rather than be scared off my a more complex set-up.. However, and let me be clear, BOTH the mixer method and minimalist are legitimate and effective forms of podcasting. I enjoy using both to record my own podcasts. When I started podcasting a few years ago, I bought a Rode Podcaster with the intention of upgrading to a nice mixer/mic. It never happened. I’ve been content with the process and sound quality of the USB method. That’s great to hear! Yes the USB method is a brilliant way to get started, and for some that’s all they’ll ever need 🙂 Thanks for stopping by…. Hi Dan! We met at Halpern and Floyd’s Blog World party in NYC on Wednesday—at least I think I did b/c your thumbnail avatar doesn’t look anything like my memory of you… so if I’m actually spam-commenting on someone else’s post, please accept my apologies. No creepiness intended. I enjoyed talking with you and am sorry I didn’t get a different beer in your hands. Please don’t judge U.S. beer by Bud Light. In any case, to the point of commenting on this post, this is exactly the setup I’ve stumbled into in my early podcasting adventure (3rd episode up): Blue Yeit and Audacity. 1. it’s a bulky and heavy rig to carry around at a conference for spontaneous interviews. 2. even in mono-directional mode, it picks up the sound of cars driving by (window closed). I’m sticking with it for the near future though–I’m thrilled to have a working solution. Yes it was me and it was great to meet you and to have a flick through that awesome book of yours. I’m so pleased the weather turned out for us in that very loud bar in the end — and boy did I love New York! I’m glad the Yeti is working out for you. I agree that it’s a little heavy, but I guess it’s the inbuilt stand that bulks it up a bit. Consider the state of your biceps as a positive. Thanks so much for swinging by my site, and all the best with the book! 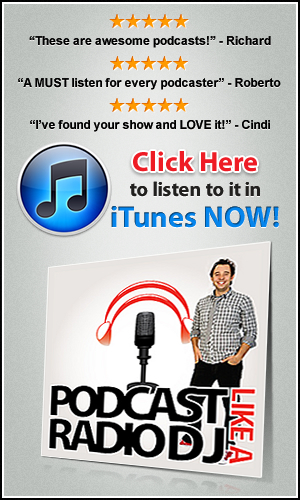 Previous post: Podcasting Equipment: Does size really matter? – Part 1.